At some point in its history, the lighthouse was painted red. However, the original lighthouse was black and white. When the 171-foot tall Absecon Lighthouse was first lit in 1857, it played a crucial role in guiding ships on the Atlantic seaboard away from potential wrecks. It also became a popular tourist attraction; by the early 1900s the Absecon Lighthouse was the most visited lighthouse in America. Although the lighthouse was decommissioned in the 1930s, it was operated as a historic site until 1993. In 1994, the Inlet Public-Private Association (IPPA) began a campaign to save the lighthouse from further deterioration. In the late 1990s, the IPPA secured two TE awards to begin lighthouse restoration and raised matching funds with contributions from the Casino Reinvestment Development Authority and New Jersey Historic Trust. During the restoration effort, the Lighthouse’s lead paint was removed, its masonry was restored and repainted, and historically accurate windows, doors, and lighting were replicated and installed. 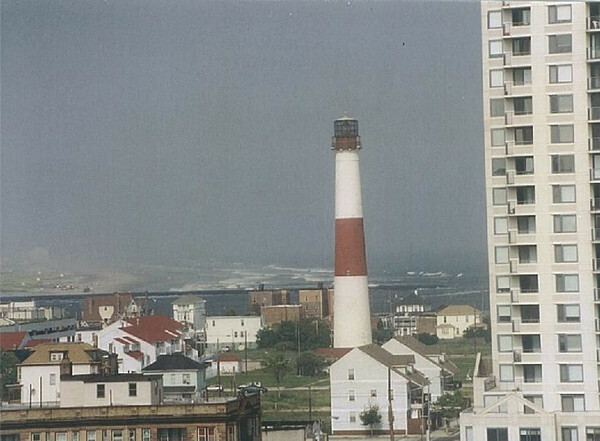 The Absecon Lighthouse reopened in 1999 as a centerpiece to a city park. The IPPA estimates over 70,000 visitors and students to Absecon Lighthouse each year.